Microsoft latest version of Windows 10 “Windows 10 S” edition has officially launched on May 2nd, 2017 with its persistent features. Microsoft promises to provide faster, cheaper and more secure updated version of Windows 10 Pro. Windows 10 S sounds much more like Windows 10, but in reality, they both are completely different operating system. Windows 10 S is the lighter versions operating system in the Windows 10 family. 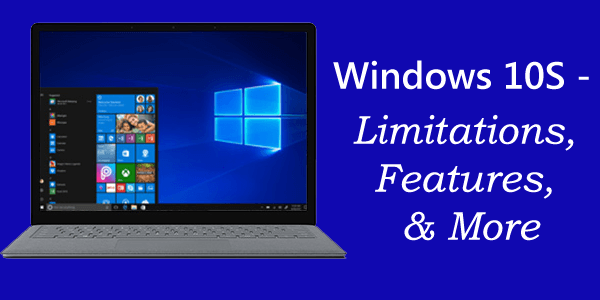 As Microsoft states Windows 10 S offers better speed, compatibility, improved battery life but despite all this, it is also having some limitations in it as compared to Windows 10 Pro or Windows 10 Home. Furthermore, find out the Windows 10 S limitation and we will also discuss its features. As we have said already, Windows 10 S is the lighter version and this is the reason it is compatible with the fewer storage devices. This is having reduced power consumption and as a result long battery life available in low price. The layout is simple and similar to Windows 10 pro. Well, this is all about Windows 10 S and its features and now let’s talks about Windows 10 S restriction or the limitations. Windows 10 S can run anything downloaded from the Microsoft Windows Store, thousands of applications are available here some of them are free, paid and even trial versions software. This soon includes the complete Microsoft Office suite and Spotify, whereas Slack, Evernote, Netflix, Adobe Photoshop, Facebook and others are available already. Simple any apps that are not available in the Windows Store are not installed or run. Some of them are Google Chrome browser, Apple’s iTunes and also the full versions of Adobe Acrobat, Photoshop and rest of the Creative Suite. Also, anything that is installed through Windows 7 or any other earlier way. Is it Possible to Play Games on Windows 10 S? Well, the answer is ‘YES’ and ‘NO’. The answer is Yes because there are some limitation as you can only be able to play games downloaded from Windows Store, and No because you are not able to play your favorite games if they are not downloaded from Windows Store. You are only able to play games that are installed from the Windows Store that includes both mobile games and AAA games commonly from Microsoft’s games studios this includes Gears of War 4, Forza Horizon 3 and also Call of Duty: Infinite Warfare. The games installed from Valve’s Steam store, Blizzard’s Battlenet or the game distributed on disc or downloaded from outside Windows Store do not support on Windows 10 S. Additionally, Windows 10 S is having a limited selection of the games. Just Like Games Windows 10 S is limited to Microsoft Edge. Users can be able to run other browsers such as Firefox, Opera and Google make their browsers offered through the Windows Store. Whereas Microsoft states it will not stop them adding their web browsers to the Windows Store, it is not known if or when Google and others will do so. Bing is the default browser of Windows 10 S.
Well, these are all about the Windows 10 S limitations not know about its features and how do you get this latest Windows operating system. How And When You Can Get It? Windows 10 S is only available on the latest machines and won’t be available in the separate versions Windows 10 Pro users can upgrade or install Windows 10 S.
The first PC shipped With Windows 10 S installed is the latest Microsoft Surface Laptop. And it is estimated soon this will be available to the others. Windows 10 S supports external hardware or devices supported by Windows 10 Pro version. Like Printer, but some of them might face a problem and if in case the device requires any external third party driver or leniency should be available in Windows Store. The management of updates is an essential feature available in Windows 10 S. This is time-saving to manage updates on daily basis. The updates schedules make possible for a system administrator for scheduling updates for a month at least. Also, the other mobile device software management can be used. For instance: Microsoft Intune provides updates management in Windows 10 s that are mobile device management software. Apart from Windows 10 S features, limitations and restriction, there is also something that you might be curious to know about. Can I upgrade Windows 10 Pro? The answer is ‘YES’ surely, you can update Windows 10 pro to Windows 10 S. The Windows developer makes it possible for the users to update their Windows OS, but this is quite expensive. Well, I try my best to provide ample information about Windows 10 S limitations, restrictions as well as features. And after writing this article I came to a point this could be a Great Windows 10 operating system but needed to be more flexible in its limitation or restrictions. 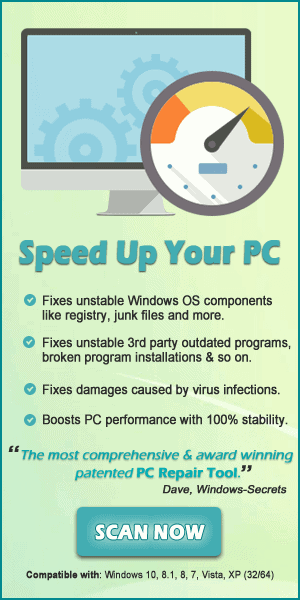 Microsoft has tried hard to provide better performance and more security. Windows 10 S comes with the Microsoft’s BitLocker encryption system to protect the files in case of theft. I have done my job; now the decision is all yours!